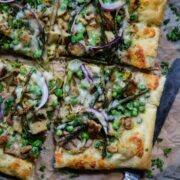 Turmeric Chicken Pizza with Asparagus & Peas is a delightful and tasty dish perfect for spring! 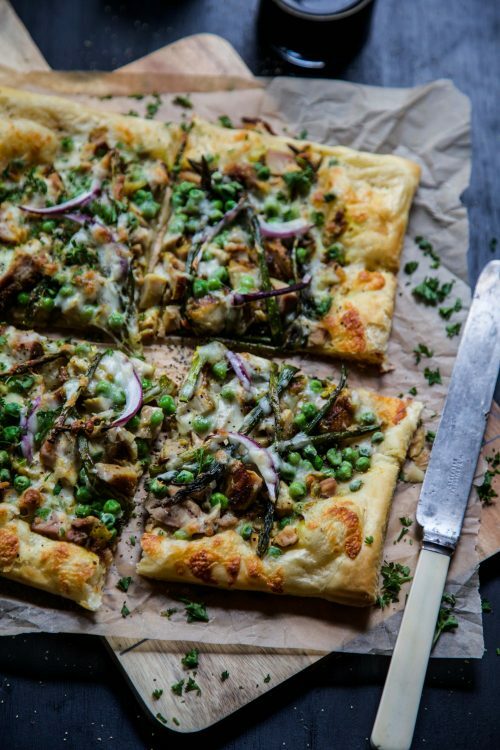 Turmeric roasted chicken, fresh asparagus, peas, shredded mozzarella piled high on top of a sheet of puff pastry is the ultimate go-to comfort meal! I’m not entirely surprised I should say. This year is zooming by like a high speed train so no, I’m not surprised the first of April is this weekend. It might as well be the first of November. Okay, okay, that is a little aggressive for a Monday morning. My bad. 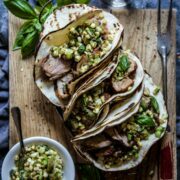 Let’s talk about something fun like where to eat in Austin! I am headed there on Sunday to attend the Indulge conference. But the truth? I’m really going to hang with my food blogging homies, eat endless amounts of tacos, and sip margs. So, if you have any recommendations on where to eat and shop send them my way! Alright, on with today’s recipe. Even though the weather in Colorado is slightly bipolar at the moment. Over the weekend it snowed, rained, and somehow we managed to have an almost seventy degree sunny day. Crazy, right? 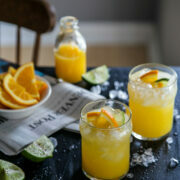 Anyway, despite this odd weather, I feel I need to get on the spring recipe bandwagon. 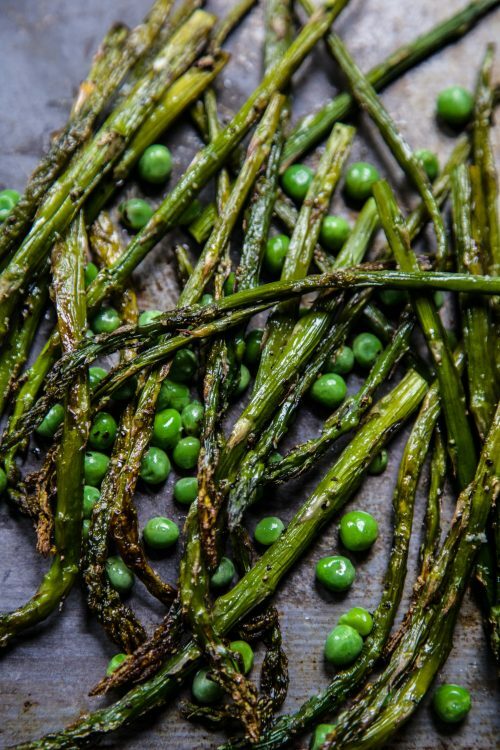 Right now some of my favorite produce is taking center stage – peas and asparagus. These power greens ought to help me get into spring shape, or really summer shape because well, ya know. It will be here in like two nano seconds!! And breathhhhhhhhhe. 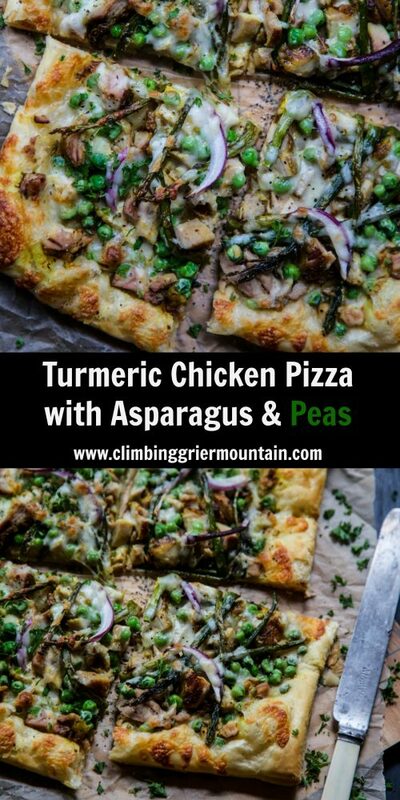 This Turmeric Chicken Pizza with Asparagus & Peas is a mash-up of a few recipes I’ve made on the blog before. I’ve combined my recipe for puff pastry pizza and turmeric glazed drumsticks, and then added those power greens on top. 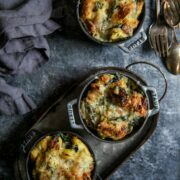 Don’t forget the cheese! Bake this bad boy until golden and perfectly crisp. It’s practically the spring poster child! Spray a baking sheet with non-stick cooking spray. Place the two puff pastry sheets on the baking sheet. You’ll want to overlap them a bit to make a single sheet of pizza crust. Just use your fingers and firmly press. Next, spread the white sauce over the puff pastry leaving a one-inch border all around. 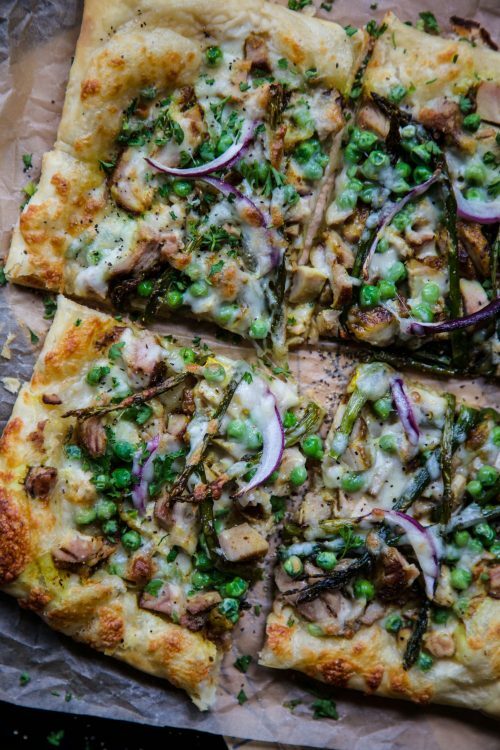 Top the white sauce with the turmeric chicken, asparagus, peas, red onion, and mozzarella. Place the pizza into the oven and bake for about 20 minutes or until the crust is golden brown. 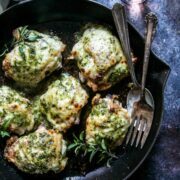 Remove from oven and garnish with fresh parsley! Asparagus and peas, my springtime loves. Wonderful pizza! 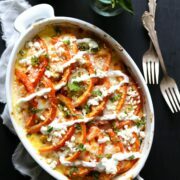 So much yes to turmeric! 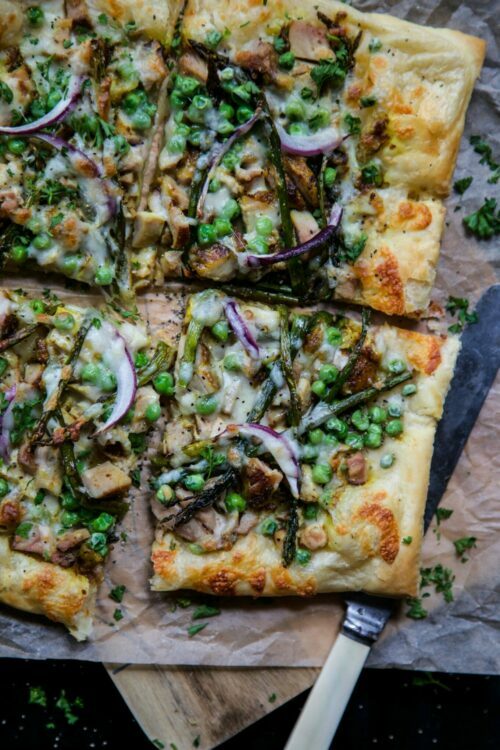 I would have never thought to pizza-fy it with peas! This is so happening for pizza Friday! Don’t get me started on the weather. He had 70 degree days in February, then 20, then 50, then 18, snow, rain, sunshine, frogs. It’s all happening. I’m done with the snow… hopefully Mother Nature agrees. This pizza is rockin! The roasted asparagus and those bright, sweet peas. Sounds lovely. What an awesome pizza, so many good things happening here!